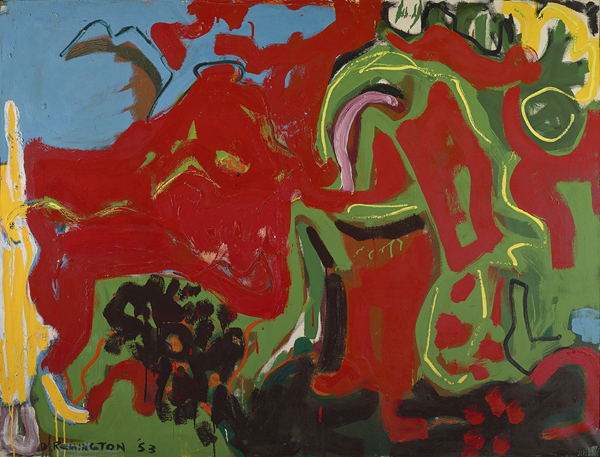 Experience Abstract Expressionist works of art in this special exhibition through sketching. Learn and refine methods and strategies to sketch in the galleries and interpret works of art. All skill levels welcome. All materials provided. Young adults (14 and up) are welcome. Next session: Wednesday, December 7th 6:00-8:00p.m. Image credit: Deborah Remington. Apropos or Untitled 1953. Oil paint on canvas 39 × 51 in. (99.06 × 129.54 cm). Denver Art Museum: Vance H. Kirkland Acquisition Fund, 2015.225. Courtesy of the Deborah Remington Charitable Trust for the Visual Arts.